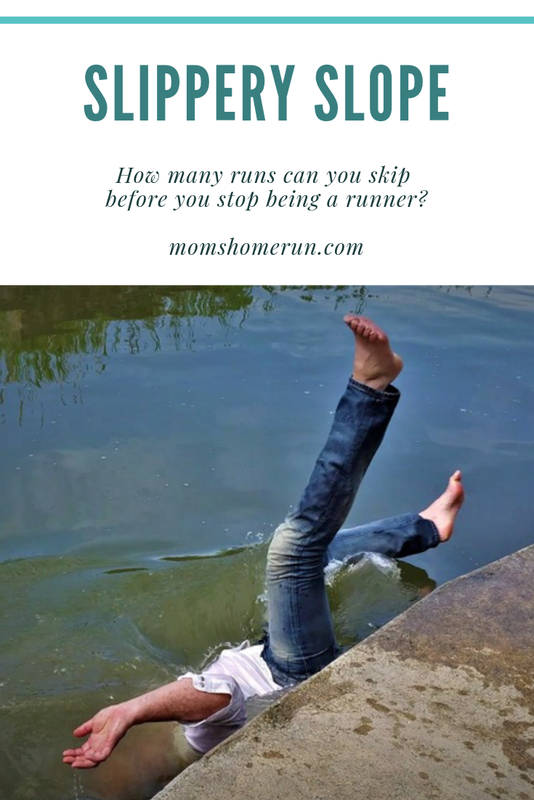 Slippery slope: how many runs can you skip before you stop being a runner? It's a slippery slope. 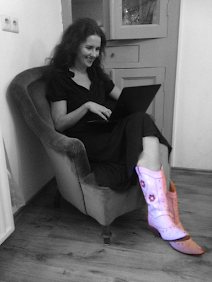 When is it okay to miss a run, and when is my inner lazybones plotting a hostile take-over? For weeks the kids had been coughing and spraying bacteria left and right, and it was only a matter of time before the bacteria got me, even though I tried to outrun them. Once they caught up with me they made me miss two of my weekly runs, because I réally didn't feel up to it. How many runs are okay to skip? But as the week progressed I began to feel more and more nervous about missing not only one run, but two! What if I was on the slippery slope to no longer being a runner? And if I was no longer a runner, what was I? Only a mother? This is where running is really different from motherhood. The slope of motherhood is sticky like superglue, and you don't have to worry you'll slide off. Not only that: it's impossible to get off thát particular slope. Once you're a mom, you're a mom for life. Being a runner is more of a conscious decision, a choice you have to make time and time again. So yesterday I decided once again, I really am a runner too. I ran twenty minutes and then did fartlek for ten minutes. It wasn't my longest run, nor my fastest but at least it was a run. I am a mom and a runner once again. Good job getting back out there!! I get it. I have those little green mucus men you see on tv in my sinus track. Nothing is working. Runs just make me want to hock a lugie or throw up. Actually I've done a bit of both. Good luck. Hope everyone feels better. I don't run but do try to exercise every day, and it's hard to be consistent! I'm not a runner, but I work out every day. Each day you miss makes it a little easier to miss again, so I try to do a little something even when ill just to keep my habit going.